United Nations Security Council Resolution 1540 (2004), adopted on 28 April 2004, seeks to prevent the proliferation of weapons of mass destruction and their delivery systems by non-State actors. 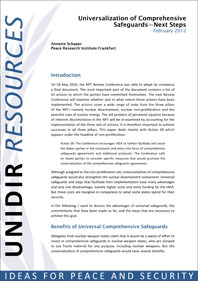 Adopted unanimously by the Security Council under Chapter VII of the UN Charter, the Resolution is unique in that it requires all States to implement effective non-proliferation measures, including relevant domestic controls. To do this, the Resolution imposes binding obligations on all States to, inter alia, refrain from supporting by any means non-state actors from developing, acquiring, manufacturing, possessing, transporting, transferring or using nuclear, chemical or biological weapons and their delivery systems. Resolution 1540 also establishes a committee of the Security Council, the 1540 Committee, whose role is to report on the progress of implementation. 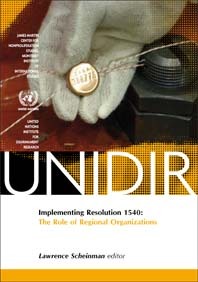 Since its creation, the mandate of the 1540 Committee has been extended on three occasions, via Security Council Resolutions 1673 (2006) and 1810 (2008), and 1977 (2011) respectively. The most recent resolution, Resolution 1977, extended the Committee’s mandate by 10 years, to 2021, and provides for two Comprehensive Reviews, one after five years (before December 2016) and one prior to the renewal of the mandate. The resolution also strengthens the Committee’s role in facilitating the provision of technical assistance, in enhancing cooperation with relevant international organisations, and in further refining its outreach activities. 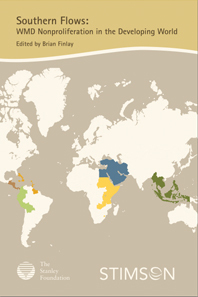 The Asia-Pacific region consists of a large and diverse set of countries and presents a wide range of 1540-related challenges, including: the expansion of nuclear energy and research, the production and storage of hazardous chemicals, the location of some of the world’s busiest transhipment points and shipping lanes, and the existence of known terrorist organisations. While significant efforts have been undertaken to assist states in the region, more work is still required to achieve the goal of universal implementation. Facilitating national implementation activities including through regionally coordinated approaches. 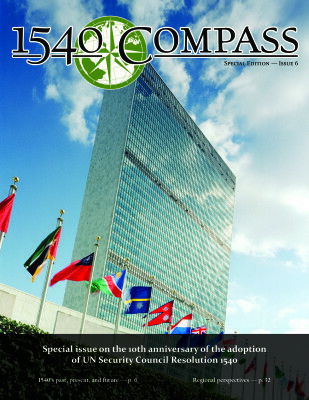 For more information on Security Council Resolution 1540, visit the 1540 Committee here. Thousands of nuclear weapons remain on hair trigger alert. More states have sought and acquired them. Nuclear tests have continued. And every day, we live with the threat that weapons of mass destruction could be stolen, sold or slip away. As long as such weapons exist…so to does the threat of nuclear terrorism.